The goal of the Public Education Unit is to prevent fires and the damaging impact of fires and emergencies through planning, coordination, and education of adults and children throughout the children throughout the City of Oakland. To contact the Public Education Unit please call (510) 238-7255 or email kcox@oaklandnet.com. Interactive games can be found at this site. Please contact the Oakland Fire Department Public Education Coordinator at (510) 238-7255. You may also email us with your request at kcox@oaklandnet.com . Please provide us a name and contact number, with preferred station, preferred day of the week and the name of and number of persons in your group. You will receive a reply email with your confirmation within 2 -3 weeks. Please provide us with a minimum of 30 days advance notice. In order to accommodate possible schedule conflicts, several alternative dates should be supplied. Provide various trainings for business that include Fire Extinguisher training, Emergency Evacuation Drills and plan review, Fire drill, and Fire Safety training. Fire Extinguisher Training – to ensure businesses can safely operate a fire extinguisher. The training includes discussing the type of alarm system in the building, the fire plan and evacuation procedures, the most common cause of office fires and responsibility of the building Floor Monitors and the Fire Department. Informational brochures are distributed and a video is available for loan. 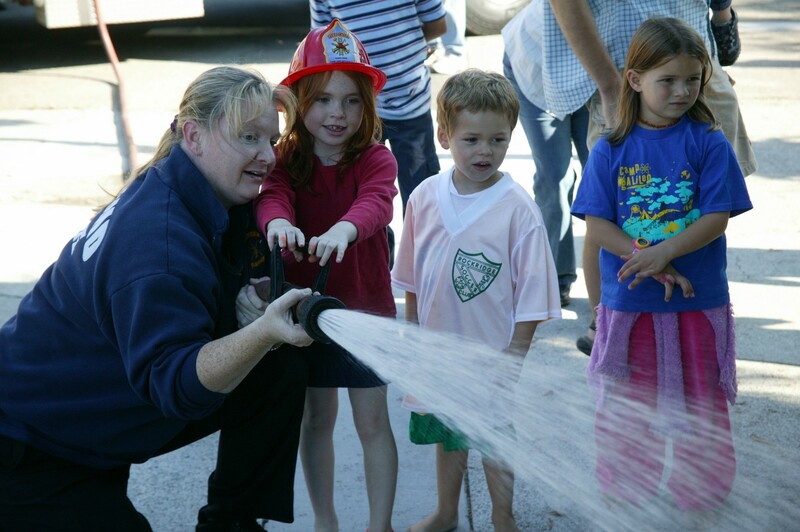 The Oakland Fire Department is happy to provide personnel and equipment to community events, such as fairs, festivals, parades and public displays. Fire department personnel can assemble and staff a community education information booth equipped with safety literature, displays, demonstrations and games. This is a wonderful opportunity for the community to meet their local firefighters as well as gain valuable life safety information. Please contact the Oakland Fire Department Public Education Coordinator at (510) 238-7255. This is a great way to meet your local firefighters as well as learn how a fire station operates. Any community group or individual is welcome to arrange a tour of a Oakland Fire Department fire station. The tour will focus primarily on the observation of the fire stations living quarters and fire engines. Guests will also be introduced to the many types of fire fighting and rescue equipment that is carried on a modern day fire truck. In addition to viewing the station, fire prevention and safety tips will also be discussed. Please contact the Oakland Fire Department Public Education Coordinator at (510) 238-7255. You may also email us with your request at kcox@oaklandnet.com. Please provide us a name and contact number, with preferred station, preferred day of the week and the name of and number of persons in your group. You will receive a reply email with your confirmation within 2 -3 weeks.